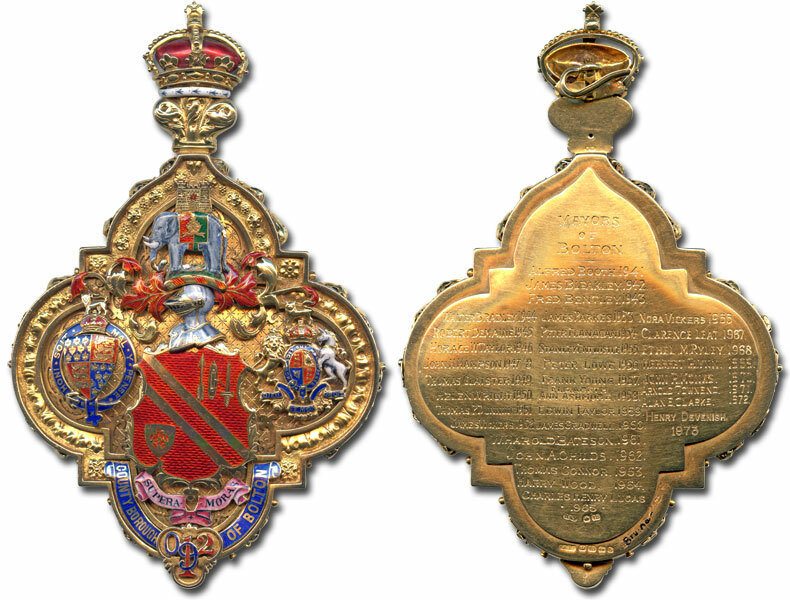 Served in the Rifle Brigade in the First World War and was wounded at the Somme. Represented East Ward as a Labour Councillor 1929-38. Left the Labour Party to join the Liberal Party in 1938. Represented Smithills Ward 1944-61. Alderman 1961. At one point he was the only Liberal member out of 92 Councillors. Chairman of the Libraries Committee. Opened Breightmet Library on 16 September 1936 in the presence of the then Mayor, Benjamin Kirkman, who presented him with the ceremonial key. Laid the foundation stone at Heaton Library 10 March 1938. One of his aims as Mayor was to attempt to allay fears that Bolton wanted to 'swallow' the smaller surrounding local authorities. As Mayor presented the Freedom of the Borough of Bolton to James Wigglesworth on 7 December 1963 and to the 23rd Regiment Royal Artillery (The Bolton Artillery) on 18 April 1964. 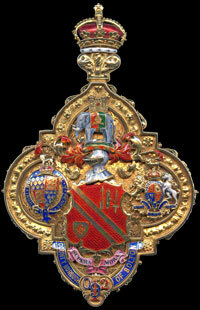 During his Mayoralty he endeavoured to improve relations between Council and Corporation Staff. 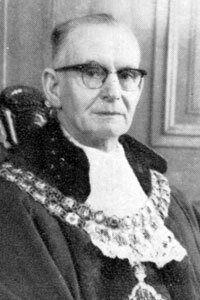 A dispute nearly saw him resign as Mayor as the Labour Group didn't want him on the newly formed Reconstruction Committee but Labour Alderman Charles Henry Lucas added his name to the list of members. Escorted the then Prime Minister Sir Alec Douglas-Home on a visit to Bolton on 3 February 1964, including a tour of Thomas Walmsley's steel works. In 1967 he re-joined the Labour Party. Deputy Chair of SELNEC Passenger Transport Executive. Secretary of Bolton Liberal Association 1942-44 and Chairman from 1944. Chairman of Mid Lancashire Constituencies Liberal Party organization. His wife, Hilda, was Mayoress. 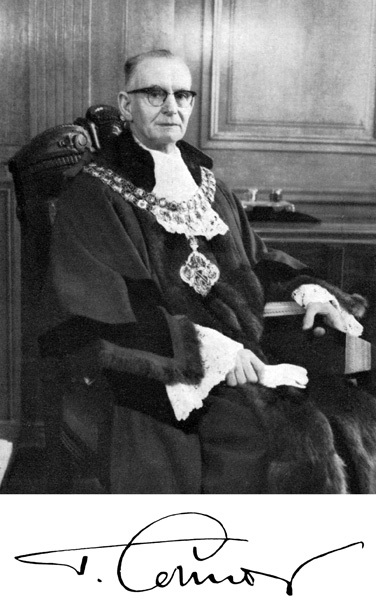 Formal portrait of Thomas Connor as Mayor of Bolton. 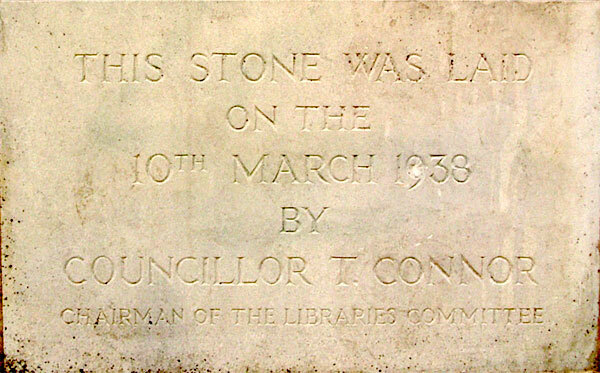 Cornerstone of Heaton Library laid by Thomas Connor as Chairman of the Libraries Committee 10 March 1938.